Holley, a performance auto aftermarket parts manufacturer, helps make our world a faster place. But talented at social media? Not so much. Here's how one commenter unraveled a fumbled deceptive Holley viral marketing ploy on GM fanboy site LS1Tech. I lurk on this forum lot doing research for a conversion that I'm planning to do. 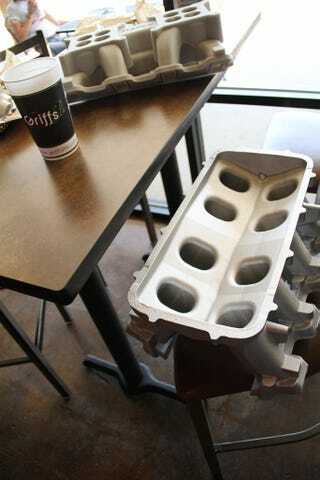 Earlier today I was at a sandwich shop near where I work out in Bowling Green, and a few tables across from me there were a couple of guys sitting at a table discussing what look to be some new products for LS motors. All I know for sure is that I saw "Holley" on one of the prototype material pieces which looked to be like a dual quad setup (what an engineering friend of mine told me), and a tunnel ram setup. The both of them got up to go to the restroom or get refills or something and that was all I needed. I ran up and snapped a few quickies for you guys. I wish I could've taken them home with me and got better photos but I heard what happened to that guy with the iPhone 4 and all....haha. i right clicked the photos in the OPs post, which gave me the link to where the image was hosted. which means it is a photobucket account, and the username of the account holder is "stockbee"
then i googled "photobucket stockbee"
which was a post with photos contained in the above photobucket account. one of the top links was "http://www.facebook.com/group.php?gid=21600933768"
which was a facebook group made by the OP/Email account holder/nicoclub poster/photobucket account holder"
"A new door has opened….. I'm happy to report I received a tour of Holley Performance Parts yesterday and during the tour I was able to get a bird's eye view of my desk! That's right, on Monday I'll be starting a Marketing Internship for the company..."
blane burnett, marketing intern for holley. nice try, better luck next time. The truly funny part is how much better the direct approach would've worked. It's not like a new Holley intake manifolds for the LS1 engine family has any kind of broad market appeal that would gain traction on the internet. It's a product for a very limited market and trying a "viral" marketing campaign is just silly. What would've worked much, much better is instead of creating a throwaway account and posting "spy" pictures would be building an actual relationship with your potential customers. Isn't that what social media's supposed to be about? Next time, Holley should create a "Holley Performance" user name and post something along the lines of "Hey guys, check out what we're working on, should be available some time soon" kind of post. Engage the customer, let them ask questions, build buzz. Way better than having an intern make your storied company look like they don't have a clue on the internet. The take away here? Social media's about interacting with your customers, not about lying to them to build false buzz. Maybe next time hire a real marketing person instead of making your intern the false face of the company. Oh, yeah, also, sweet new tunnel ram and dual quad intake manifolds for LS engines on the way from Holley.